This post may contain affiliate links. Read my disclosure page here. Learn how to cook rice perfectly every time so it’s fluffy and soft. Say goodbye to sticky, mushy, undercooked or overcooked rice. Even though cooking rice is a basic cooking technique, it’s easy to over- or undercook it. If you have ever cooked rice that turned out sticky, mushy, hard or it stuck to the bottom of the pan, you are not alone. 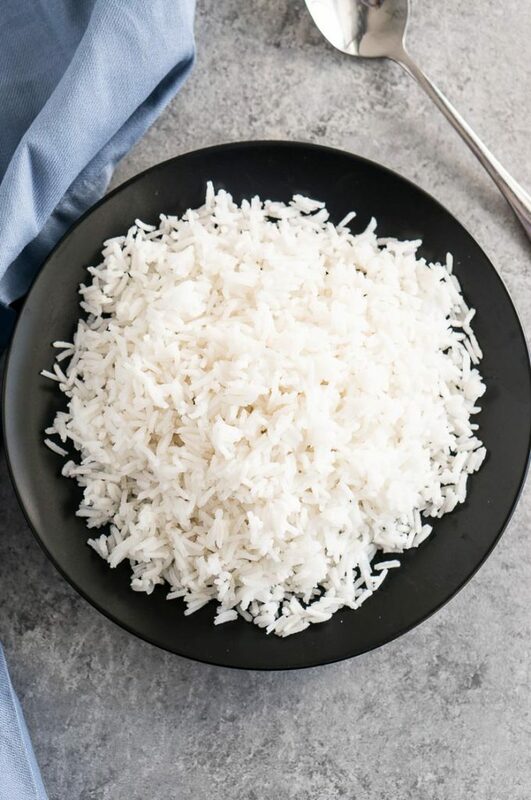 Rice is really easy to screw up, but once you have the technique down, you can have a perfectly fluffy bowl of rice on the table every time. I love cooking rice on weekends as part of my meal prep for the week. Rice it’s such a versatile side dish that can be added to a lot of meals. 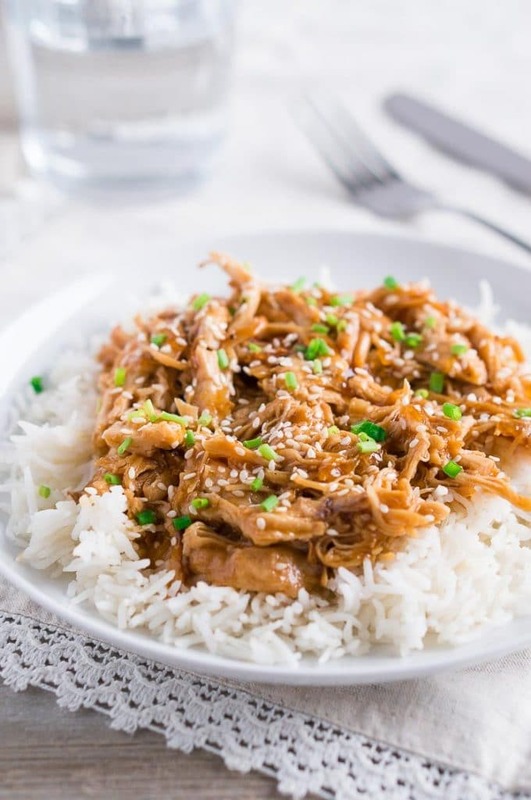 Serve it with this Instant Pot Honey Sesame Chicken, Mahi Mahi or make this delicious Chicken Fried Rice. Here is how to cook a perfect pot of rice on the stovetop every single time: Rinse, Cook, Rest and Fluff. Follow my tips below for best cooked rice. Rinse the rice. Rinsing the rice removes dusty starch that can lead to sticky or gummy grains. Use the correct water to rice ratio. Generally, use the 1:2 rice to water ratio when cooking rice. 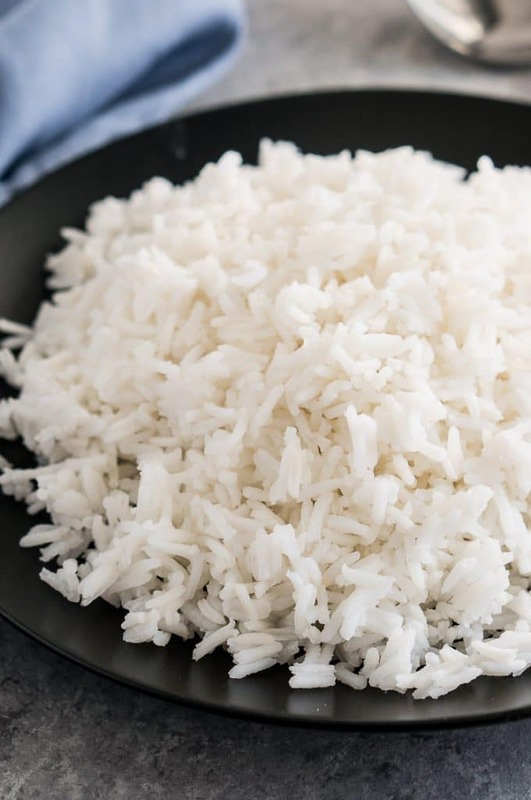 Some types of rice require more water (like brown or wild rice) while other types of rice require a little bit less water (sushi rice). Check the section below for more details on the rice to water ratio for each rice type. Add rice to cold water and bring to boil. Some sources recommend adding the rice to boiling water but I find that the cooking rice this way, leaves it hard and crunchy plus it takes longer to cook. 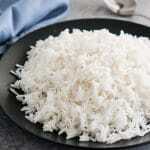 If you want soft and fluffy rice, you should add the rice to cold water and bring it to boil. Use a tight-fitted lid. Use a good lid so the steam and moisture don’t escape during the simmering cook time. Cook the rice on low heat. Cooking rice on low guarantees that you will have well-cooked rice that is not over- or undercooked. Don’t uncover or stir the rice during cooking. It’s very important not to uncover or stir the rice once it starts simmering because otherwise the steam will escape and the rice won’t cook properly. Be patient and don’t mess with the steam. Let the rice rest covered for at least 5 minutes. Turn off the heat, move the saucepan aside and let it sit covered for 5-10 minutes. While the rice rests, its grains cool off slightly and firm up. If you stir the rice as soon as it’s cooked, while it’s still very hot and moist, the grains can break up and get mushy. Fluff the rice with a fork. After the rice has rested, you can fluff it up with a fork gently without squishing the rice. Keep it covered until you are ready to eat. Add a pinch of salt and butter, or cook in broth. If you want to add some flavor to your rice, you can add a pinch of salt, 1 Tbsp butter or even cook it in broth instead of water. This is optional but it guarantees delicious flavor! Generally to cook rice, use a 1 to 2 rice to water ratio (for every cup of rice, use 2 cups of water). Different types of rice require slightly different water to rice ratio though. 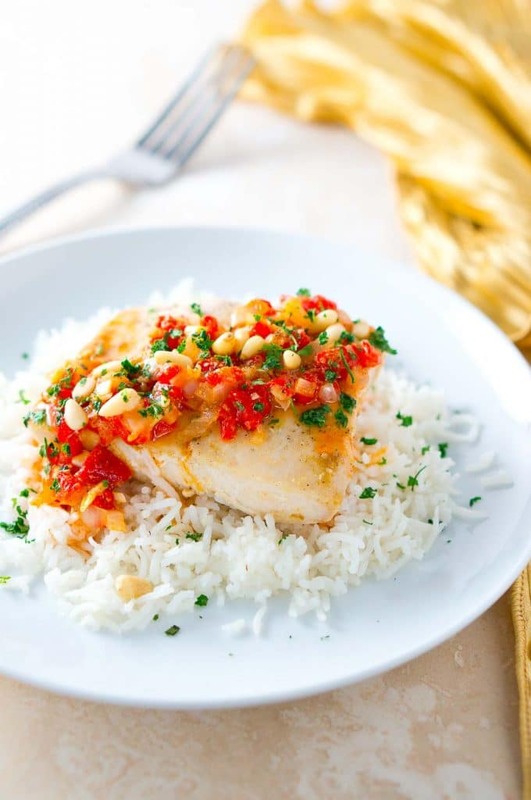 If you like firmer, drier rice, reduce the water by a few tablespoons and reduce the cook time by a few minutes. If you like wetter, softer rice, increase the water by a few tablespoons. Also, depending on the type of rice, some of them require a little bit longer cooking time like wild rice and brown rice (about 40-45 minutes). See package instructions for exact cooking time. You can store cooked rice in the refrigerator for about 4-6 days, and store it in the freezer for about 6 months. You can freeze rice for up to 6 months. Rice freezes well and holds up its texture even after thawing and reheating. You can either freeze the rice in a glass bowl, or in a plastic wrap. I found this tutorial on how to freeze cooked rice very helpful. You can reheat leftover rice in the microwave or on the stovetop. Rice becomes dried out, tough and chunky after it sits in the refrigerator overnight. If you want to enjoy a soft and fluffy rice, you need to add some moisture to it when you reheat it. Combine the rice and a splash of water in a microwave-safe plate, and spread out the rice in a thin layer. Use a fork to break up any large chunks of rice, and add a damp paper towel on top. Microwave for 1 to 2 minutes until the rice is heated through. Add the rice to a saucepan, add a splash of water, and using a fork break up any large clumps of rice. Cover the pan with a lid and steam the rice over low heat, stirring occasionally, until the rice is heated through. 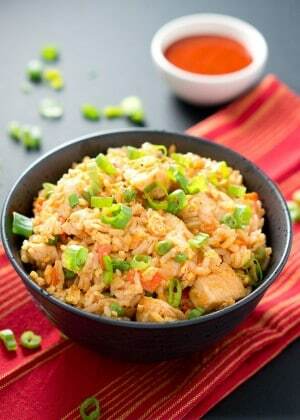 You can also stir-fry the rice in a skillet to reheat it. Just add a little bit of butter (sesame or peanut oil work great too if you want to make fried rice). Using a wooden spoon, break up the lumps of rice so it heats through evenly. Add the rinsed rice, 2 cups water, and salt to a pot on the stove. Bring to a boil over high heat. Once the water is boiling, stir the rice once, reduce heat to low, cover with a lid and simmer rice, without uncovering the pot, for about 18-20 minutes. Remove pan from heat and let rice rest covered for about 5-10 minutes to firm up. Remove lid and fluff rice with a fork. Serve immediately or chill to store for later. DID YOU MAKE THIS RECIPE?Share a pic on Instagram. Tag & follow @deliciousmeetshealthy or tag #deliciousmeetshealthy! Use the tag #DeliciousMeetsHealthy when posting a photograph of your recipe, and make sure to follow @deliciousmeetshealthy on Instagram! Welcome to my kitchen! I am Neli Howard and the food blogger behind Delicious Meets Healthy. I started Delicious Meets Healthy in 2014 while working in public accounting. While everything I did at work was very analytical and detail oriented, I have enjoyed cooking because I get to use my creativity and experiment with flavors and textures of different foods. Get my FREE eCookbook “Quick & Healthy Dinners”! Sign up for my free newsletter & get the free eCookbook it features 30 of my most popular quick & healthy dinners. The recipes are easy and family friendly, and you can make them in 30 minutes or less. Rice is such a great staple we eat a lot of it here in Italy although mainly risotto rice. I didn’t realize that different types of rice require different quantities of water. Good to know! So many great tips here! Why are the simplest things (hello, rice and hard boiled eggs) so easy to mess up! Rice is a great addition to many meals and it is awful when it goes wrong. Having a trusted method to get it right every time is essential. You have some good advice and easy to follow recipe. The perfect, one-stop resource for cooking perfect rice! Thank you for compiling this! These are great tips! I always buy the steamer bags from the frozen section because I always mess my rice up! I’ll have to try it this way! When I first learned how to cook, rice was always a challenge for me. This is a great tutorial for beginners! I struggled with rice for so long! If it wasn’t one of those flavored boxed rice mixes, I wouldn’t make rice. 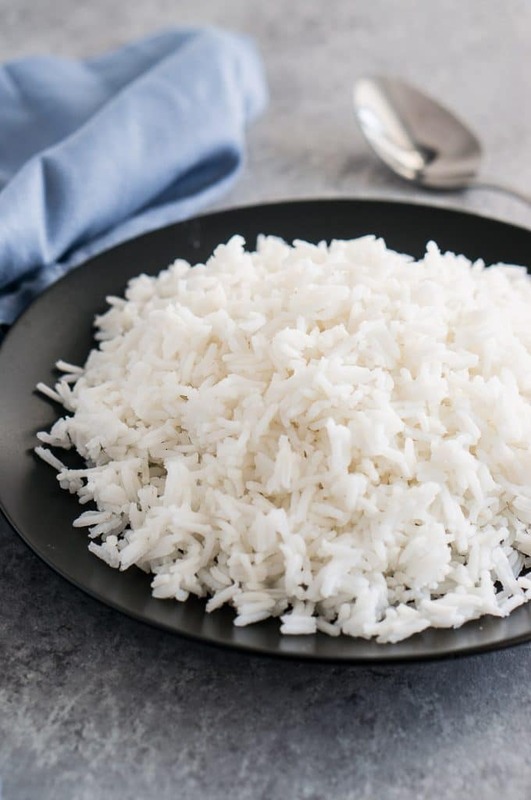 This recipe takes all the trouble out of preparing rice. -trick – don’t mess with the steam! 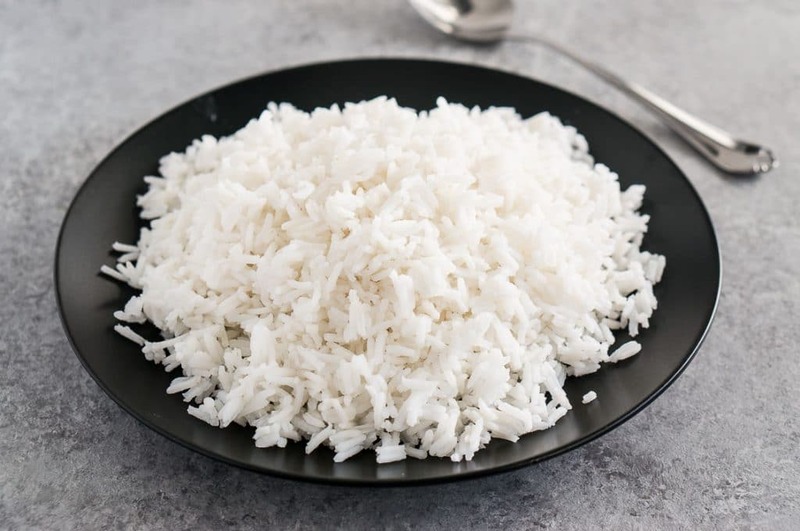 This is a really comprehensive guide on all things rice! I especially liked the instructions on all the different ways to reheat. Thanks for the tips! I have to be honest. I have an embarrassingly tough time cooking rice on the stovetop!! I don’t know what it is that gives me so much trouble… But thank you for sharing this tutorial! So helpful. Great post! I am super picky about white rice. I like mine fluffy and what I call on the dry side. I hate sticky rice. Great post with a lot of helpful tips.